Is there anything more perfect for cold January days than a steaming bowl of soup? Not in my book. 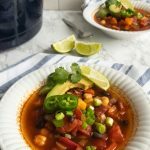 This easy 3 bean chili-inspired soup fits that bill! 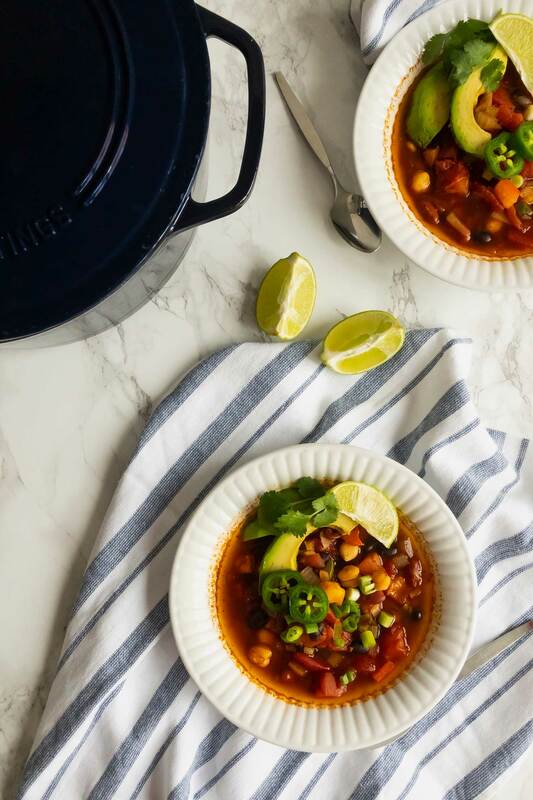 It’s a bit lighter than traditional chili, so it’s also perfect for those January goals. For this soup I use my homemade vegetable broth. It’s easy to make and keep on hand, but if you don’t have that, or don’t want to make it, store bought broth is fine. Look for lower sodium broths. You can always add salt later if you need it. With all the flavor though, I didn’t find it needed any! I used 3 different kinds of beans instead of ground beef or turkey to boost up the fiber and antioxidant content and reduce saturated fat. A win-win, as we didn’t miss the meat a bit, and it was just as comforting and filling. Adjust the spices to your liking, or add hot sauce for more kick! Canned beans and tomatoes make this a quick and easy lunch for busy weekends, or a weeknight supper. 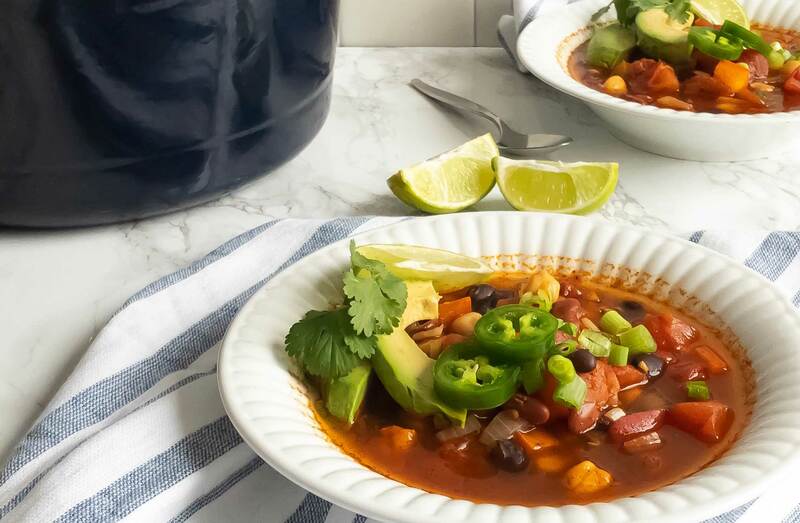 A little lighter than true chili, and bursting with flavor, this is sure to become your go-to bowl of goodness! In a large pot, sauté the onion in the olive oil until softened. Add bell pepper and jalapeño pepper and sauté for another minute. Pour in the vegetable broth, and add the remaining ingredients. Bring to a boil. Reduce to a simmer for 15 minutes. Serve with a squeeze of lime, and garnish as desired. Try making your own vegetable broth from kitchen scraps to use in this recipe! Recipe here!